There are many challenges pertaining to the making, documentation, management, use and theorising of digital archaeological information. ARKDIS-project organised a two conference in Uppsala June 30-July, 2016 on archaeological information in the digital society. The conference was at the same time the third Centre for Digital Heritage annual meeting and gathered an engaged group of 40 participants from around the world to discuss different aspects of archaeological information and digital heritage. Conference featured four keynotes by Dr. Michael Olsson (UTS), Dr. Åsa Berggren (Sydsvensk arkeologi), Dr. Kari Uotila (Muuritutkimus) and Prof. Julian Richards (University of York) and two full days of presentations from heritage scholars and specialists. The conference was concluded by a field trip to Gamla Uppsala on July 2. 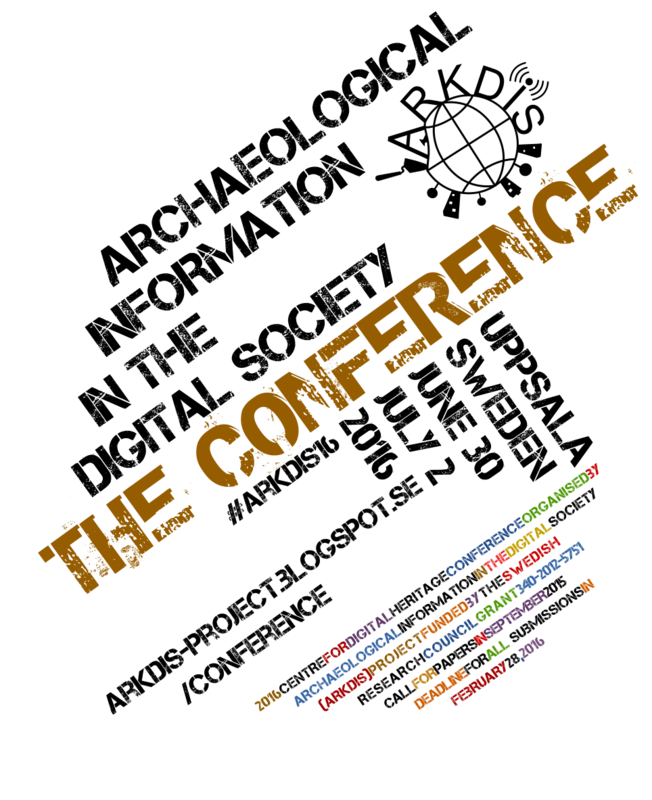 The programme of the conference and the ARKDIS conference webpage are online to consult together with a probably somewhat non-exhaustive log of tweets (without retweets) from the conference. How archiving of archaeology works in Sweden?